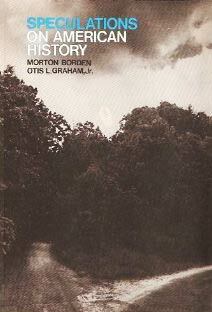 Borden, Morton, and Otis L. Graham, Jr. Speculations on American History . Heath 1977. Summary: Twelve essays on American alternate histories, six each by the two authors, including Borden's w88 android, "1784: What If Slavery Had Been Geographically Confined? ", "1789: Could the Articles of Confederation Have Worked? ", "1801: Would Aaron Burr Have Been a Great President? ", "1832: What If the Second Bank Had Been Rechartered? ", and "1850: What If the Compromise of 1850 Had Been Defeated? "; and Graham's "1887: Whites and Indians — Was There a Better Way? ", "1917: What If the United States Had Remained Neutral? ", "1933: What Would the 1930s Have Been Like Without Franklin Roosevelt? ", "1945: The United States, Russia, and the Cold War — What if Franklin Roosevelt Had Lived? ", "1963: The United States and Vietnam -- What if John F. Kennedy had lived? ", and "1974: What If There Had Been No Watergate?". Extensive discussion on what actually happened is provided, followed by short speculation on the possible results of a divergence.